Hey y’all, I’ve been missing in action for the last week couple of weeks due to a family emergency that sent me into war mode. I gladly signed up to be a front line soldier. 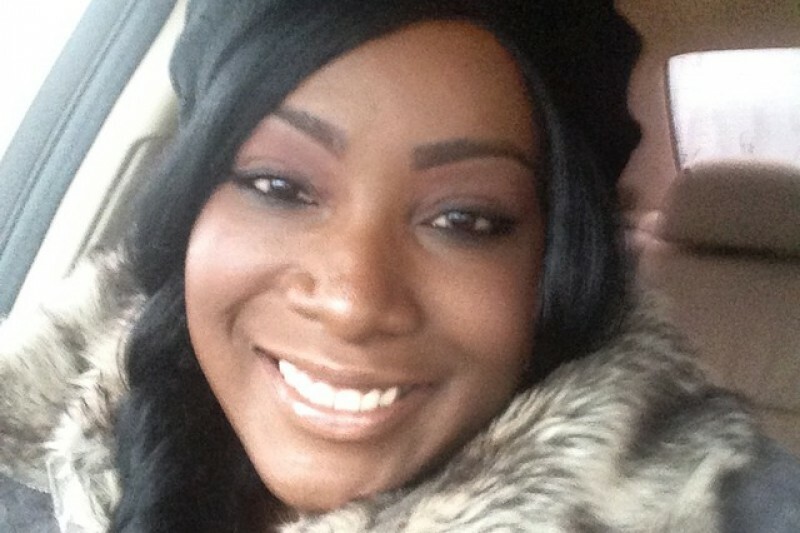 My oldest sister Tiffany was admitted to ICU after an emergency room visit that saved her life. I won’t go into all the details, but I know that God spared her and I’ll be forever grateful for His grace in doing so. Needless to say, blogging, tweeting, answering emails or even just writing has been the farthest thing from my mind. So if you’ve reached out to me in any form over the last couple of weeks and I haven’t responded, charge it to my head and not my heart. I hope to get back in the swing of things in a few weeks, but for now it’s taking all the energy I can muster to work my full-time job, take care of my family and divide my time between Memphis and Dallas. If you believe in the power of prayer please pray for my sister’s full recovery. She’s a wonderful single mother to my beautiful niece and awesome nephew, and she has much to live for. The road ahead will be challenging, but I know that God is with us and victory is on the horizon. We just have to keep putting one foot in front of the other on this journey of faith. I started a Go Fund Me donation page for Tiffany to help with expenses, as she will be out of work for quite a while. Click here to read more about my fabulous sister and the place where her journey begins. Even if you can’t donate, sharing the fundraiser page on your social media platforms could have a huge impact. Whatever you do, PRAYER is much appreciated. You ever have one of those moments when you just ‘get’ something? When you fully understand something that was previously a novelty to you? Some people call it an epiphany. Oprah calls it an ‘A-ha moment’. I had one while reading She’s Come Undone by Wally Lamb. Both my editor and fellow writer/beta reader Ann Fields gave me this advice as part of their feedback for my first novel: show the story, don’t just tell it. I struggled to understand exactly what this meant. The phrase ‘show vs tell’ is thrown around in the writing community all willy-nilly and it’s pretty difficult to explain what it actually means. She’s Come Undone is the best example of mastering show vs tell that I’ve ever read. The book somehow conveys that Delores is an obese, largely ignored, sexually repressed, sarcastically humorous, intelligent, scared girl. The writer doesn’t tell us this. He shows us by creating scenes in which other characters react to Delores, by giving us insight into her thought processes, by sharing her responses to outside stimuli. Lamb’s style is dramatic, sensual and visual. We’re not told that Delores is cynical and prone to highlighting other people’s flaws. 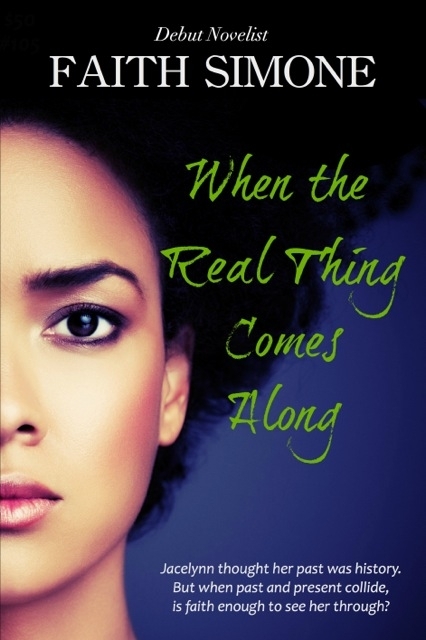 We’re shown it in the way she notices someone’s rounded belly, stained teeth or oily skin. Delores doesn’t simply take a swim with her father. We’re right there with her feeling the warmth of the pool, seeing the hazy colors of life underwater, experiencing a little girl’s crush for her father. Reading She’s Come Undone made something click in the part of my brain that couldn’t quite grasp the difference between telling a story and showing a story unfolding. I think it’s important to have a balance between the two, but practicing the skill of showing will make me a much better writer. The biggest takeaway for me is to not write down to readers. Trust their intelligence enough to believe that they’ll get the point. Relinquish enough creative control to leave room for various interpretations. Because really, that’s what art is. As a writer, have you struggled with show vs. tell? How did you work through it? Here’s a great article on the show vs. tell debate. I’d love to hear your thoughts on it! There are a few people walking the earth brave enough to wear their hearts on their sleeves; not because they’re careless or foolish, but because they’ve been through enough to know that each time they share their stories they celebrate their triumph. They’ve won. 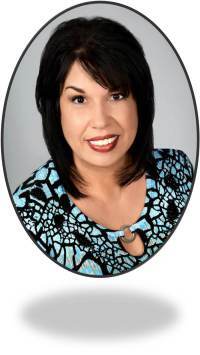 Mary Perez, of Reflections from the Heart, is one of those people. 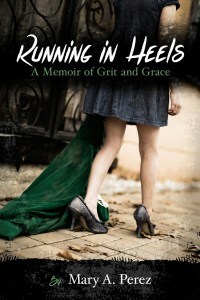 “More than a memoir—this book is a promise of hope for anyone who was abandoned as a child, to anyone who woke up hungry and went to bed hungrier every day, for every wife who has loved a husband who left bruises on her heart and on her body.” Connect with Mary and find out more about her newly released memoir Running in Heels here! Faith Simone says: It takes a lot of courage to be vulnerable and upfront about things that many people would like to pretend never happen. 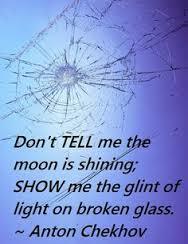 To come through it all with grit and grace intact, is nothing short of a miracle. Thanks for sharing your thoughts with us today Mary!